Depression impacts 1 in 6 individuals over the course of a lifetime. Depression tremendously impacts the life of the individual socially with family, work and all relationships. For the person suffering from depression, one of the most devastating things is the feeling of hopelessness and not being able to identify the cause. Symptoms of depression are the result of chemical changes in the brain causing an increase in autonomic drive. Depression patients often suffer from symptoms including loss of pleasure, hopelessness, and concentration difficulty. Other symptoms commonly reported by depression patients include abnormal laughing and crying, aggression, impulsivity, irritability, fatigue, anger, anxiety, loneliness, nausea, loss of appetite and persistent headache. Depression is a mental health disorder characterized by persistently depressed mood or loss of interest in activities, causing significant impairment in daily life. Traditionally depression has been viewed from a neurochemical perspective. Treatment has been mainly directed at improving the levels of serotonin as well as norepinephrine. We know that this is not the only mechanism involved as many patients do not respond to a variety of different medications. A combination of factors are believed to play a role, such as diet, head injuries, inflammation, genetics, stress, and altered hormone levels. Depression tremendously impacts the life of the individual socially with family, work and all relationships. For the person suffering from depression, one of the most devastating things is the feeling of hopelessness and not being able to identify the cause. 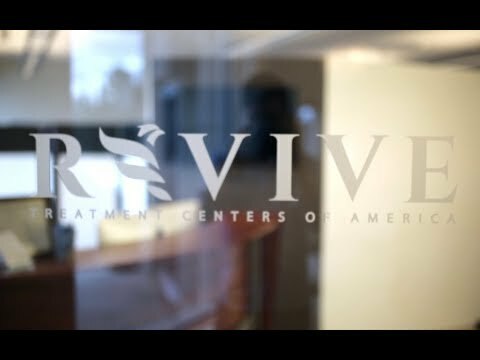 At Revive we specialize in providing treatment to the neurological regions affected by depression. Your treatment can include balance, gait, and eye training; as well as hand-eye coordination, repetitive transcranial magnetic stimulation (rTMS), hyperbaric oxygen, diet, and supplements. Beyond the neurological system, there are many factors that can impact the presentation of depression: the immune system, diet, sleep, and stress (to list a few). By integrating knowledge of the brain and influence of these factors, we are able to be very specific with targeted therapies which create lasting neurological changes. Your treatment plan is designed specifically for you and is not a protocol.